Thanet Life: A Home for Socks? 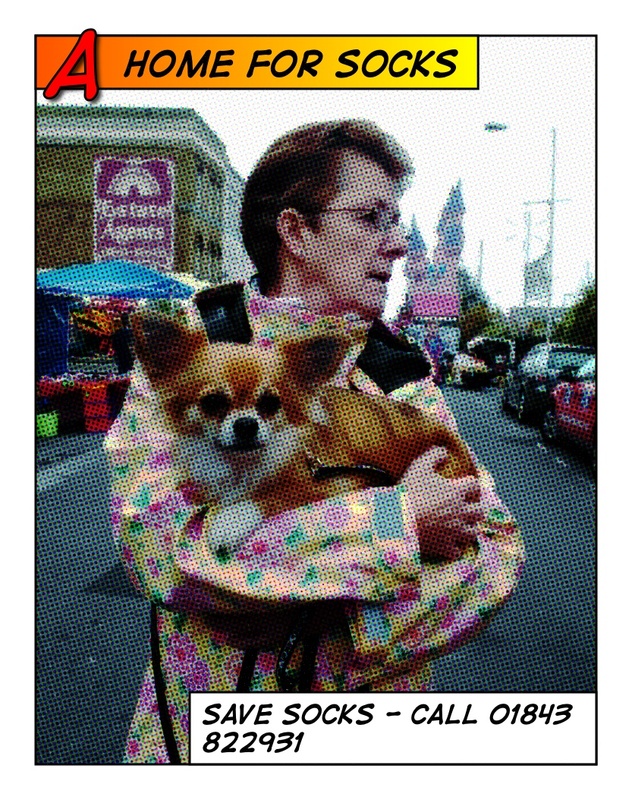 At the Westgate Xmas Fun Day today we have 'Socks' the homeless Chihuahua , who is in urgent need of a new owner. He's a lovely dog, two year's old with all his papers, neutered, micro-chipped and vaccinated and he's available from Pet Rescue on 01843 822931. To be honest, if I didn't have two dogs of my own already, I would have taken him then and there.